Kate Middleton looks like a Cinderella at Diplomatic Corps Reception in the sparkly gown. The modern-day royal, Kate Middleton along with Prince William made their appearance at the Diplomatic Corps Reception after hosting a Christmas party for the military families at Kensington Palace. Kate walked into the event wearing a sparkly Jenny Packham gown. She is looking like a princess from Disney in Love's Knot Tiara, her favorite royal jewel headpiece. The crown includes diamonds and 19 hanging pearls set of gold and silver. The royal member is resembling a modern-day Cinderella with the sparkly blue gown. The dress featured a draped neckline and sheer cap sleeves. For the sparkles, the designer added clusters of beads. The belt at the waist completed the outfit. 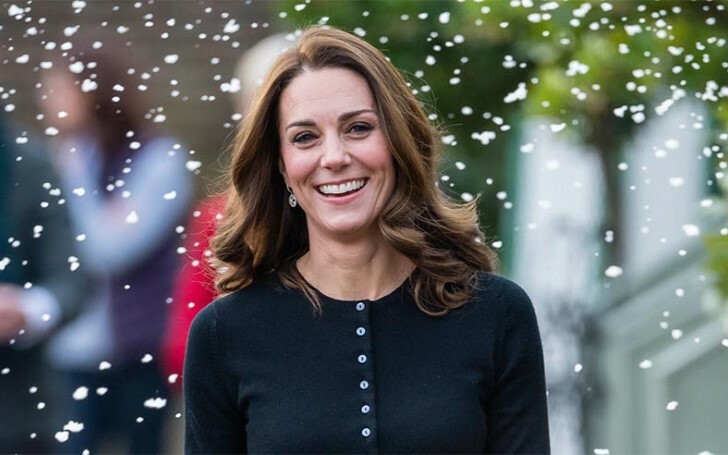 Kate went for minimal accessories to match her glittery dress. She went for a diamond bracelet and a jeweled box clutch. Her pear-shaped pearl earning went well with the attire. The Royal Family Order pinned to her outfit added the glam. Earlier at the Christmas party for the military family, she wore a plaid skirt with bright red, green, and white tartan designed by Emilia Wickstead. She also wore a cardigan by Brora and a buttoned-up blouse. The look was accessorized with a black high heel boot, a watch, a simple piece of diamond earning and the special ring. This is not the first time Kate attended the Diplomatic Reception with a glam look. In the first place, in 2017, she grabbed the attention with her sequined white dress and the headpiece. CAPTION: Kate Middleton at 2016 Diplomatic Reception. In 2016, the royal member also wore the crown at the Diplomatic Reception paired with a bright red Jenny Packham gown and the diamond earring.